Supporters of women’s rights across South Asia gathered last week in Islamabad to discuss better care policies for widows and single women. Hosted by the Aurat Foundation and the South Asian Network for Widows’ Empowerment in Development (SANWED), the two-day workshop sought to uncover and resolve the challenges some women face in their daily lives. Gender experts at the workshop announced that both single women and widows were the most marginalised groups across the South Asian province. They receive the least amount of government protection and have minimal access to their basic rights. They are largely ignored and outcast by both society and the state. Syeda Fiza Batool Gilani, the Goodwill Ambassador for Women’s Empowerment, claimed that social stigma was responsible for this lack of support. “While the cause of women empowerment and emancipation has started to get the attention at different levels thanks to the exemplary struggle waged by the women rights groups, there has been discernible lack of focus and public policy intervention in mainstreaming the rights of widows and single women. “In the absence of a man, she becomes a non-entity and has little or no standing in society. 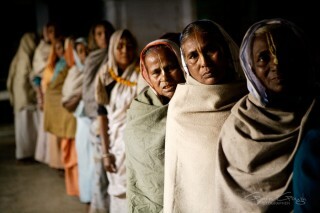 Hence, widows and single women become vulnerable to discrimination”, Gilani said. Gilani also added that the majority of these women were unaware of their fundamental rights, which could allow them means of compensation and even access to inheritance. Speaking for India, Dr. Mohini Thapa announced that there were currently 40 million widows in India, accounting for 11% of the entire female population. This significantly contrasted with the male population, of whom only 2.5% were widowers. Semin Qasim, of the Humanitarian Assistance for Women of Afghanistan (HAWA) Program, said that widows were found to be the poorest of the Afghan population, receiving no assistance from either their community or the government. Qasim reported there were currently 700,000 widows in Afghanistan. “There are certain areas where there are all women-headed households as men have either died or went missing,” she added. Representing Bangladesh, Ferdous Ara Begum said that Bengali widows fared slightly better than those in Pakistan, India and Nepal. However, she added that Hindu widows are more discriminated against by their religious communities than any other religious groups. Each country representative decided on new legislation that would offer a greater means of support to enable women who could not otherwise help themselves. Entitled, the ‘Islamabad Declaration for Mainstreaming Widows’ and Single Women’s Rights in Public Policy’, the declaration is aimed at creating ‘synergies’ on a local, regional and international scale across the South Asian province. By doing so, it would push women’s issues mainstream where they would have less chance of being ignored in patriarchal societies. Cecilie Landsverk, the Norway Ambassador for Pakistan, discounted the popular notion in South Asia that all widows needed were the bare means to survive. She said that widows needed to be ‘acknowledged and empowered’. Employment and the removal of inheritance bans by some religious communities, she felt, would ensure that widows would have the means to become a valued and integral part of society.